Writer invested in Native American issues and collaboration. Nationally acclaimed performer writing about gender, black Judaism, mental instability, and religion. Book reviews, movie reviews, comics reviews, television reviews (primarily sci-fi/fantasy/horror). 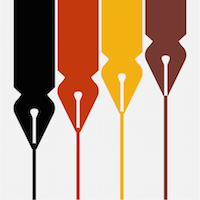 Diversity and representation, and the double-edged sword of being a POC writer. I also write fiction and plays, and I frequently talk about submissions and rejections and how to deal with that process. I’ve written for BuzzFeed, Cosmopolitan, Pacific Standard, Bust, and many other online and print publications. Senior Editor at The Brooklyn Quarterly. Languages: Fluent Italian, good Spanish. I also like to broadcast. I am a producer and host on a KPFK and KCHUNG DJ.